Budget management is essential in everyday life, and becomes even more integral when facing potential foreclosure. No matter how you go about trying to solve your mortgage problem, you have to be able to budget your money and prioritize spending. If you don't already have a monthly budget, then start by keeping track of your income and expenses. After you have an idea of where your money is going, prioritize your spending. Make sure the things you absolutely need get taken care of first, rather than spending large amounts on whims and leaving bills till the end of the month to find you have barely any money left. Priorities should include utilities, mortgage payment, groceries, insurance etc. Delinquent property taxes have a way of doubling up to large amounts. Then, with added penalties and fines, things soon spiral out of control. While some states have lower property tax rates, others like Texas have property tax rates that can really break the bank. In you are in fear of losing your house due to delinquent taxes, consider getting a property tax loan. By doing so, you can secure a loan to pay of hefty property taxes, and then pay back the money you owe at a schedule that fits your budget. Depending on your state, foreclosure laws will address questions you may have about the process. This includes questions like how long will the process of foreclosure take. 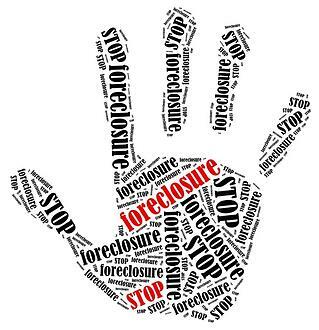 In states with judicial foreclosure proceedings, the lender must go to court before it can foreclose, as opposed to statutory foreclosure proceedings which are generally faster. Other things to be aware of include whether the lender can sue to to collect any deficiency even after the proceedings. It is important to research the foreclosure laws in your state so that you are well aware of what you are entitled to, and not face any unpleasant surprises. Talking to your attorney could also help since foreclosure in a complicated matter. Getting a housing counselor will enable you to figure out your options if your current housing loan is unaffordable. Also, housing counselors can be relatively low cost, and sometimes even free. The U.S. Department of Housing and Urban Development website can be used to find HUD-certified housing counselors. NeighborWorks America, a nonprofit created by Congress, promises to connect you to a live counselor through their national hotline. Giving up your house is a last resort, as it can be a difficult and heartbreaking decision. However, sometimes it is the only way to avoid what will soon become a massive financial disaster, resulting in you losing your home in the end. If you think you may need to sell your home, it’s important to act quickly, while your head is still above water. You’re more likely to have more negotiating power if your property is not seen as a distressed sale. Your lender may permit you to sell your house, while forgiving some portion of the remaining debt. This way, your lender avoids foreclosure costs and you avoid damaging your credit as severely. Sometimes, a lender will offer a “deed in lieu of foreclosure”. This means that you are voluntarily transferring title and you move out of your house. Even though your credit will suffer somewhat from this option, your avoid eviction and the unwanted stress that comes with foreclosure. If you decide to sell your house, ask a real estate professional to value your home and give you a list of properties that are similar to yours, showing what they have sold for. Ultimately, your house is only worth as much as someone is willing to pay for it.